This magical kit has brought a revolution in the teaching and learning methods in the Pre School , Kindergarten and Primary Section of our institution. More than the playground the Audio visual room is the favourite place of our children. Please visit our website at www.hydergarden.com for a comprehensive look at our goals and activities. PRE-SCHOOLERS: are with us for only 3hrs and they thorough with the categories in the first semester such as Parts of the body (Head), Colours, fruits, common animals and action words. They recognize the pictures. They visit the AV Room for 15 minutes everyday where the categories of Little Reader is shown to them with the help of a projector. They see and do the action words as on the screen. They say the words along with the audio. The teacher shows them the flash card for 15 minutes daily. LOWER KINDERGARTEN: (3 YRS) These children are taught categories from Semester one . They can recognize all the words without seeing the pictures. Action words , common animals, colours, fruits, vegetables, hand motions , Parts of the body , shapes and the story from Aesoph's fables " Fox and the grapes" and many of them say the story by looking at the pictures. These students are taken to the AV Room every day for 20 minutes. The categories seen on the screen are revised by the teacher in the class using flash cards. Here I would like to mention that without the help of Little Reader this wouldn't have been possible as this is the first batch of students to recognize words. Usually the syllabus of any child in a matriculation school is only limited small letters and capital letters. 12th Annual Day of our school is scheduled to be held on 9th April 2011 along with the Senior Nursery Convocation. To entertain and cheer their seniors the Juniors are Putting up a SKIT "The friendly elephant" this is the story of "Friendly Crocodile" as we couldn't get the costume of Crocodile we opted for "Elephant." UPPER KINDERGARTEN: (4 years) Here the children are taught categories from LR Semester Two: The children pickup more easily than the conventional method of spelling and then word. They can recognize couplets, fruits, action words, animals, people, colours , shapes, pattern phonics etc. They can recognize the sentences in the story "The fox and the crow" even without the pictures and animation. Apart from this they have picked up prepositions and many two and three letter words. Again I would express my gratitude to BrillKids. Otherwise the syllabus of the matriculation board limits to only pattern phonics and plenty of oral practice and writing of the same. Tamil is the first language and it is compulsory from Primary (from class I). The basic words are taught using flash cards similar to brillkids methods. 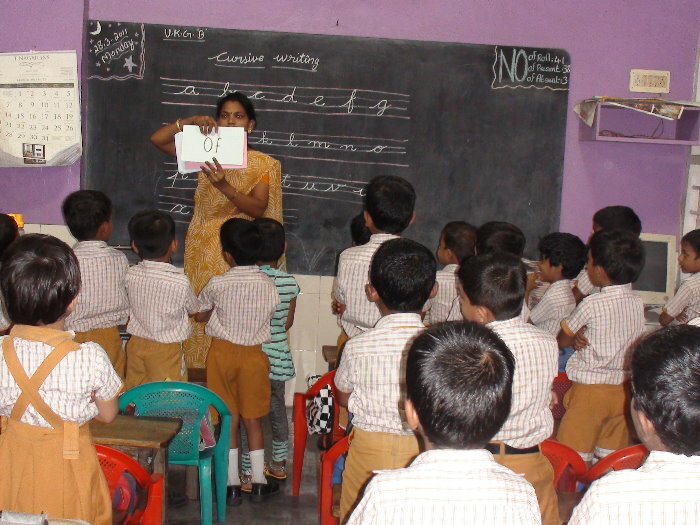 This was started in December 2010 and the children can recognize upto 20 words. 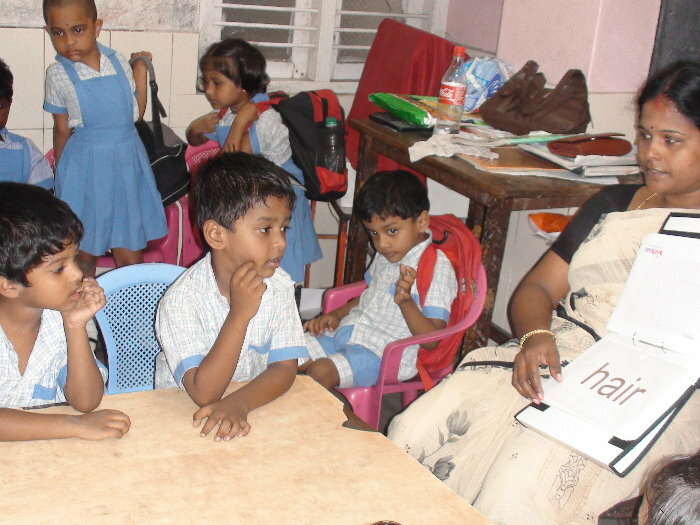 They have classes every alternate day and they have also started reading and writing the letters of the Tamil Alphabet which is otherwise difficult with 216 letters. Above all the each teacher may have her own accent of English as a foreign language coupled with the influence of mother tongue. This hurdle is crossed by the students as they listen to the audio of LR and practice along with it . This indirectly is a great advantage. March 31st being the end of an academic year, we were able to do only this much as even the educators were new to the system. 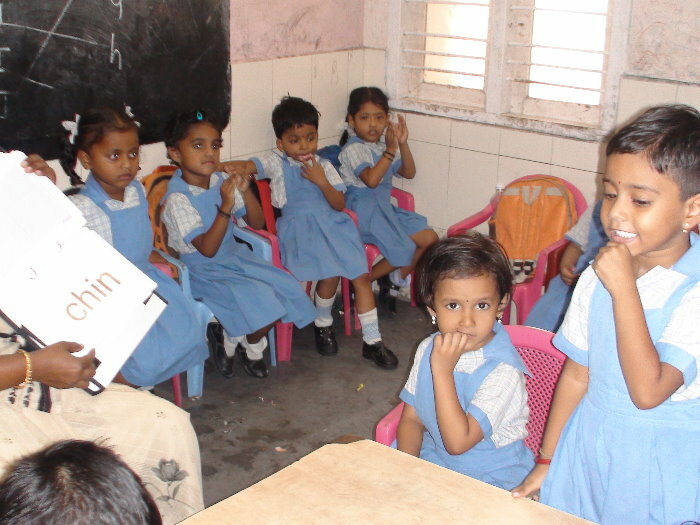 In the beginning the parents had various doubts and they enquired that how it is possible for their wards to read the words without learning the letters first. Though we found it very difficult to convince them , I am very happy that I have full filled the challenge that I took up. Now that we are well versed in handling this method we will plan for the next academic year one month prior and hope to go many steps further in implementing this system. Our next academic year starts in June 2011. On behalf the Management of Hyder Garden School , I express my gratitude for joining hands with us in this great venture to spread the light of knowledge to eradicate illiteracy and which on the other hand eradicates poverty. We anticipate your support and cooperation in future too.